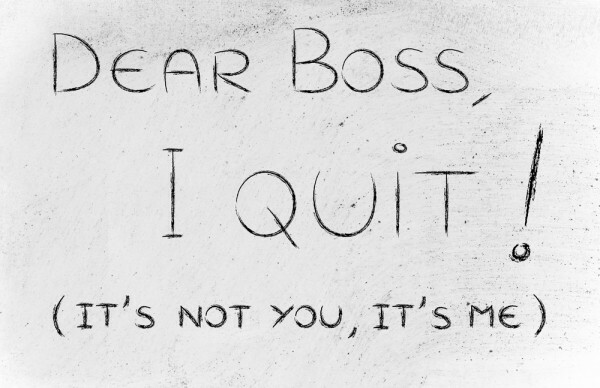 Even though quitting a job could mean moving on to bigger and better things, the act of telling your boss you’re resigning is something that most people dread, myself included. Because quitting a job is a life event that I will have to deal with at some point this week, I wanted to give you a little bit of background about myself and tell some of my story: I am extremely loyal, and I go out of my way to do a good job. I know my full-time job doesn’t meet my needs monetarily or mentally, but I will have the hardest time telling my boss I’m leaving because I have the tendency to become extremely close to the people I work with. Whether you’re at a job for a few months or a few years, if you work in a team-like environment–like most dental practices–your co-workers become family, and it’s never easy to tell your family you quit. I know I am one of those people who are going to have a really hard time doing this and probably freak out until the end of that dreaded meeting with my boss, so I Googled how to leave a job you love and found some excellent things that will help me stay calm and get through it. The link below will take you to an IntelliVen post called “How to Leave a Job you Love.” It give tips on how to psych yourself up before hand, which will help you stay firm in your decision to leave. It also helps to spell out the resignation process incase you have any questions on what to do. If you, too, are facing this difficult issue, I really think some of these points will help. Good luck. You can do it!